You can trust us, because reputation for us above all else. Depends on the type of accounts being purchased. If it’s softreg accounts, then yes, accounts will only be yours. If it’s RUA or retrieves, then theoretically the owner will be able to restore access. Aged accounts are those accounts that, after registration, were simply lying for some time. Usually, pulling back affects the trust with which social networks and services belong to the account (trust accounts). (!) can not be confused with the account. received from fake – these are different concepts. 1) Aged inactive accounts – these are accounts that are not activated by SMS. 2) Aged asset accounts – these are accounts that are activated by SMS. (!) Usually, this type of account type refers to the social network VKontakte. We can offer only the assortment that is available in the onlineboostup.com store. You can choose the right account, read its description and buy it yourself. The account requested confirmation by SMS from any number, what should I do? Any account can request confirmation via SMS when entering or during work. This is considered normal. You can confirm it with your phone number or SMS activation services. Additional data is usually attached in the format of accounts for sale. If it is not enough and the service requests, for example, Scan of the passport, then we can’t help. 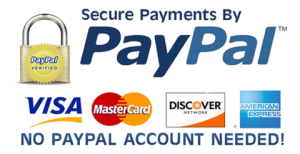 We accept almost all forms of payments Paypal, MoneyBooker, Visa, Master, Payza, Neteller, Bitcoin and more. Are these accounts made on unique IP's? 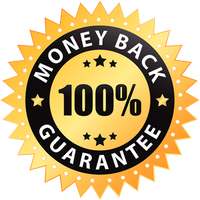 Yes each and every account is made with fresh and unique USA based IP’s. Incase if you need specific IP ranges to make accounts please write us and we will be happy to assist you. What is the difference in PVA accounts and NON - PVA accounts? Simple PVA stands for phone verified accounts which means if you order PVA accounts you will get all your accounts verified with REAL phone numbers. Nowadays most of the email and social media sites need users to authenticate their accounts with phone numbers. Phone numbers adds extra security to your account so that you can make sure your accounts will stick long. Whereas NON – PVA accounts are NOT verified with phone numbers. Do you have any aged accounts in stock? Yes we always have aged accounts in stock.